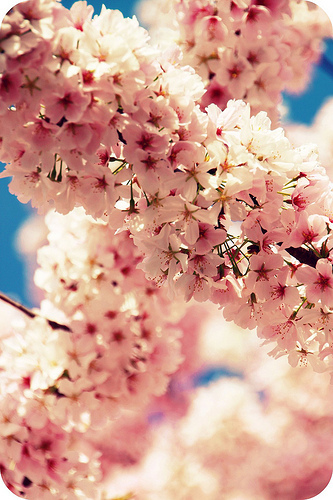 cherry blossoms | write meg! 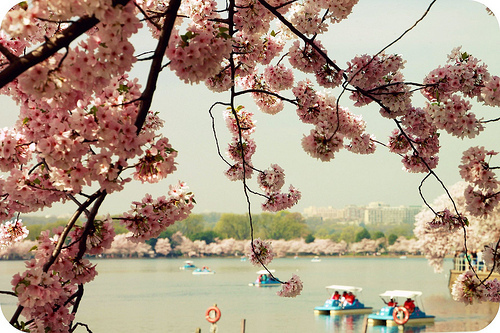 Oh my gosh, you guys — aren’t the cherry blossoms just beautiful? And . . . invisible? Before we got another few inches of snow (!) 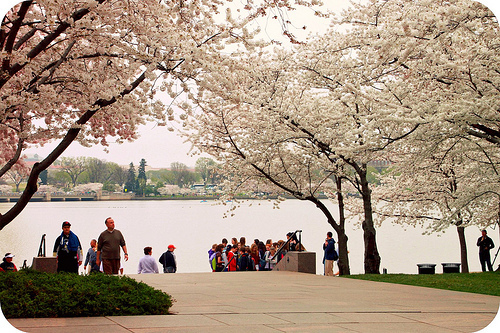 in the D.C. area on Monday, the cherry blossoms were a wee bit dormant. Despite my “final farewell” comment last week, winter has lingered into spring. I was downtown on a run-through for our upcoming Capital Photo History Tour on the monuments (yay!) — and though I wish we could have seen the blossoms on that adventure, I’ll admit to feeling partially relieved they were still asleep. We’d planned to have our engagement photo session downtown for months. 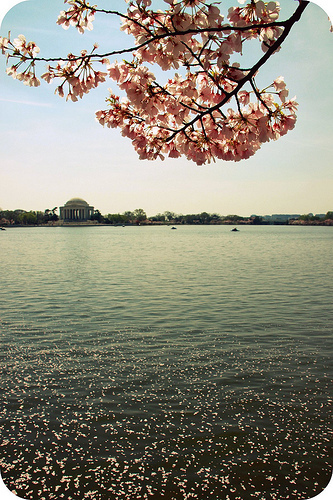 I imagined Spencer and I walking between the ancient trees, lightly walking through fallen petals, and pictured the Tidal Basin spreading out before us. I knew we were taking a gamble by scheduling our shoot so far in advance, but the blossoms had already peaked this time last year — and I figured that even if they weren’t at their height, they’d be doing something. Days before our scheduled sunrise shoot, our photographers emailed to see about a Plan B. We relocated to a local park for the “golden hour,” moving between several spots on the grounds — beach, trees, barns — for our 90-minute adventure. I felt like I blinked and the time slid right by — and in the end? The park shoot is probably more visually-interesting than the blooms would have been. 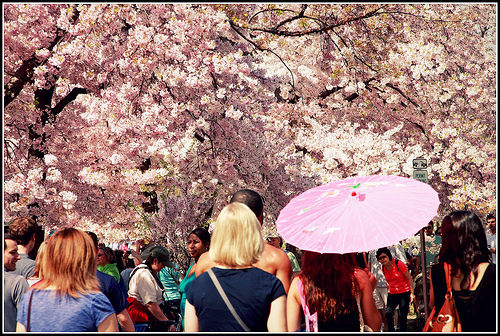 And if we’d had to go downtown by 7 a.m. for our cherry blossom shoot . 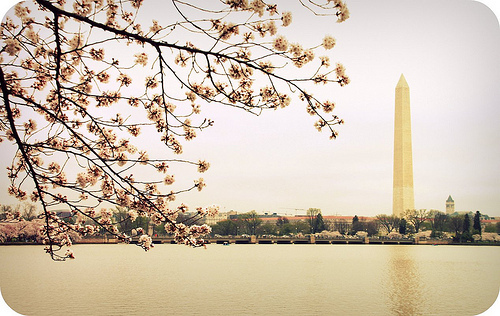 . . only to discover no cherry blossoms? Well, I would have been mighty cranky. Not that it would have ever gotten to that point. 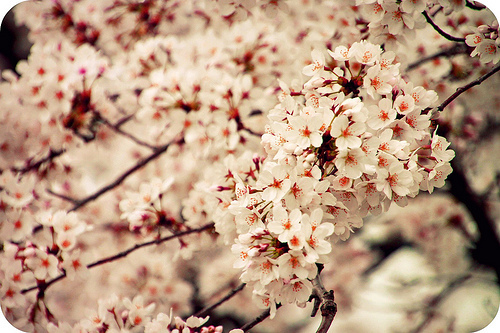 I check the blossom cam, like, every two minutes. So the engagement session we did have was phenomenal — and even though it was chilly, Spence had his arm around me often enough that I didn’t notice! And I was running on adrenaline. We ducked in and out of our cars (with heat!) as we moved around the park, taking shots in different locations, and the ladies at Birds of a Feather Photography are just fab. 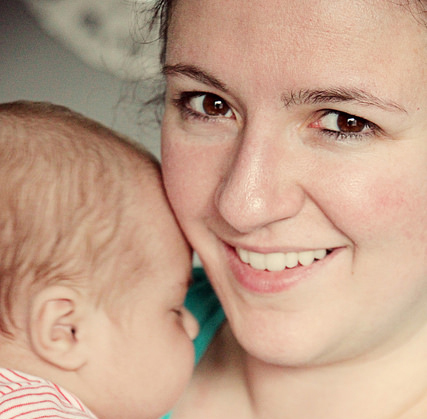 Our “sneak peek” shot is up on their blog now — and ladies, check out that $6 dress! I know it’s uncouth to brag about costs, but really. I’ll be riding high off that bargain for the rest of the year. If only I could have snagged a $6 wedding dress . . .
(70 degrees! In January! ), I’m totally ready for springtime. Good thing February is a short month. 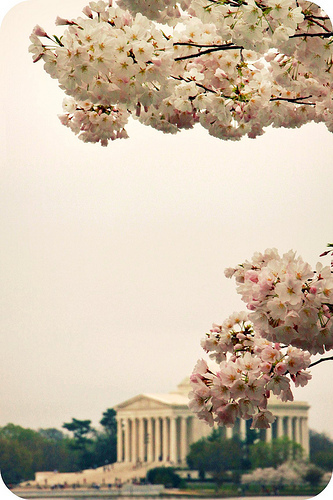 Yes, I know — I’ve already been downtown to see the cherry blossoms this year, and I really thought I was done with them. 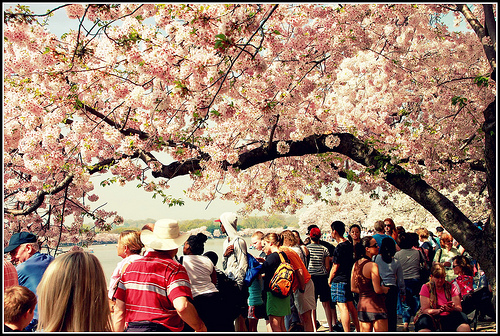 Our whole family trekked downtown March 18 to see the early-blooming trees and soak up the festive atmosphere. It was fun and we had a great time, but the day itself was gray and dismal. No sun. No warmth. Though I liked a few of my photos, most were pretty uninspired. Just lackluster. The photographic results? Much better this time. It’s amazing what some blue sky can do. Everyone was milling about the Tidal Basin with their iPhones, cameras and tripods, and I was handed a camera (or phone) three times to take pictures for others while admiring the folks on paddle boats and sipping Diet Coke. Mom and I took our Canons out like the intrepid photogs we are, and not even broken Metro escalators, crowds and excessive heat could hold us down. It was so hot that I actually got sunburned, then spent the rest of the weekend feeling simultaneously hot and cold when the temperatures dropped again. Spence and I went to Fredericksburg, Va., to celebrate our second anniversary on Saturday (yay! ), and I was the weirdo bundled in a jacket with a red-hot burn across her face and chest. It was, like, 60 degrees and raining. I probably looked like a wayward, disheveled spring-breaker thrown really, really off course. And I obviously took a liking to the umbrellas popping up in the crowd. They added some drama. And now you won’t have to hear me go on and on about a bunch of pink trees anymore. You know . . . until next spring.